The Buyer Notification System is a great tool we use to help you find the RIGHT Home for you! ~Searches for Properties that match your criteria. ~Gives Notification by mail or e-mail. ~Offers a Systematized buyer process to save you time. ~A Team of Trained Professionals who Work For and With You! Once we have Your Criteria, we search the Multiple Listing Service daily to find properties that match that criteria. Once a match is found, we send the data sheets for that property to you, either by e-mail or postal mail. This allows you to look at properties on Your time and to review all of the details of each property. We are available via our Web Site, so you can easily send us an e-mail if you have any questions or would like to make an appointment to see a specific property with your Buyer Representative. This is just one more step towards finding the Right Home for You! Getting your house ready for Sale! So, you’ve begun the process of listing your home for sale. There are a few things you need to know in order to make this as smooth a process as possible. Let’s take a look at these important steps one at a time. The most important step in preparing your home for sale is “Presentation”. Prospective buyers want to be greeted by cleanliness and spaciousness, inside and out. What is the first thing a prospective buyer sees as they drive by/stop in to look at your home? Be sure to keep your yard well manicured and clean. Rake away leaves and trim hedges. Even if you can’t afford a professional these minor maintenance steps can make a world of difference. Check the front entryway and make sure it is free of clutter and inviting. Clear away cobwebs and sweep the walkway. If the front door has sun damage or scuffs, throw a coat of paint on it for a fresh new look. With these simple steps, prospective buyers will be dying to get a look at the inside of your home! 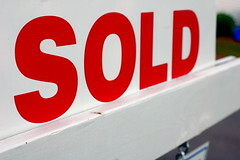 Remember, first impressions can make the difference between a “Sold” sign in the front yard and a long haul. A recent report shows improvement in real estate across the country. The well known S&P/Case-Schiller index shows that the 10 city index and the 20 city index a marked improvement in real estate in the majority of cities that it tracks. What the reports displays are small improvements or minimal devaluation in home values. Home values are up anywhere from .1% to 3.4% in ten cities. In other areas real estate values have remained flat and in harder hit areas home values are decreasing at significantly lower rates. While the news is certainly not staggering it is encouraging because it indicates that real estate markets across the Country are leveling out. Home values are falling less sharply and people are being drawn back into the real estate market. It is no surprise what is stimulating the market. Low home values, low interest rates and the First Time Home Buyer Tax Credit have combined to create an ideal buyer’s market. For more information on the latest info click here for a report from Yahoo real estate. Or Call Me Kevin Duffy at 513-602-6000 for more information! Does It Really Matter if We’ve Hit Bottom? The biggest question hovering around these days is, have we hit bottom? Whether this question be a general question regarding the recession or the real estate market, we have to ask does it matter? Whether we hit bottom a couple of months ago or are going to hit it a couple of months from now, we can all agree that we have had better times and better times are in our future. Whether we have hit bottom or not there is no mistake that it is a buyer’s market when it comes to real estate. That being said, if we haven’t hit bottom then the bottom must be close. Wouldn’t it be better to buy near the bottom than miss it entirely? Across the Country there are markets that are on their way down, markets that have stabilized and markets that are on their way back up. Whether the market hit bottom a couple of months ago, is at the bottom now, or will hit the bottom in a couple of months, the top of the market is far away. It is a buyer’s market out there. Whether you are looking for a primary residence or a second home it is a great time to invest in real estate. Property values are lower than they have been in years, interest rates are still hovering at 30 year lows and some tax incentives make buying real estate today more affordable than it has been in years. For all we know the real estate market might be more affordable today than it will be for many years to come.